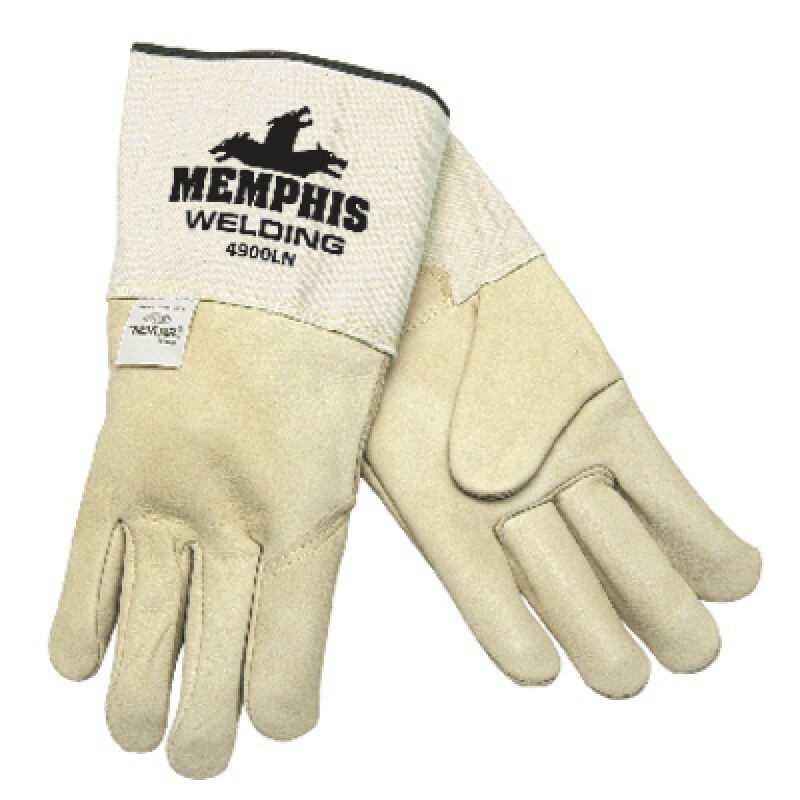 These Mig/Tig welders gloves by Memphis Glove are made from premium grain side split cow leather. The welding gloves are fully sock lined providing superior comfort. Sewn with DuPont's super-strong, heat resistant Kevlar thread. Gunn pattern with a wing thumb design. Ideal for welding and heat applications, plus all general purpose applications requiring heat, flame or spark protection.